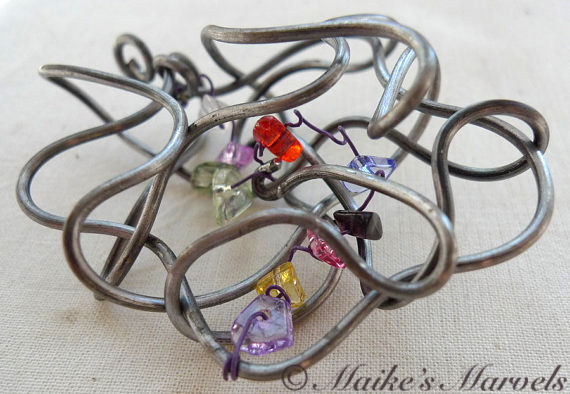 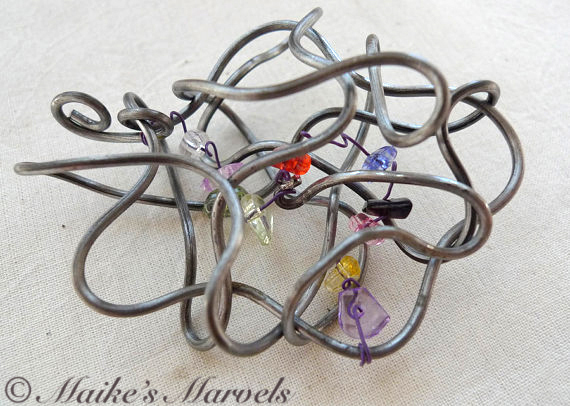 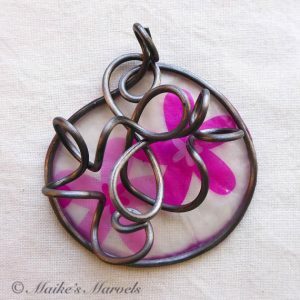 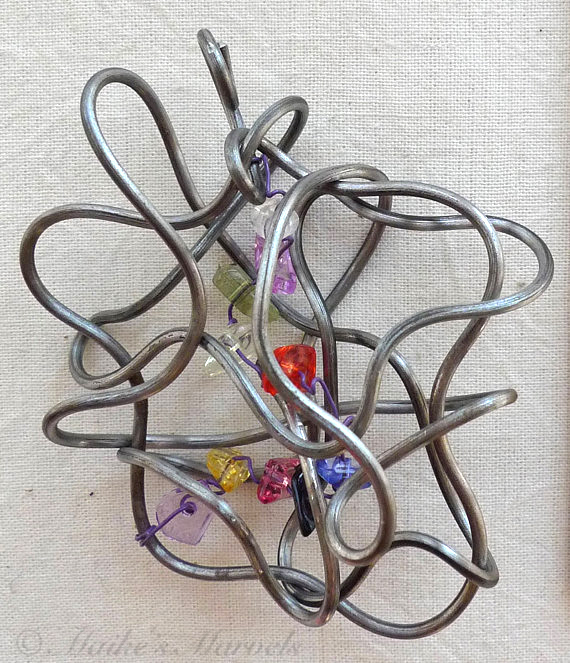 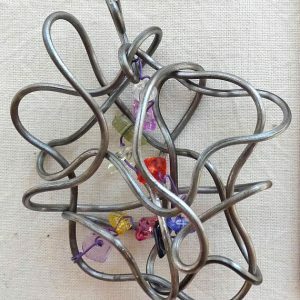 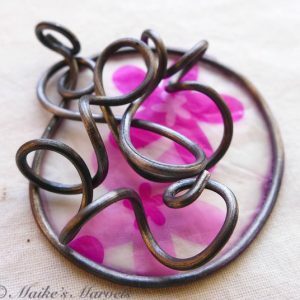 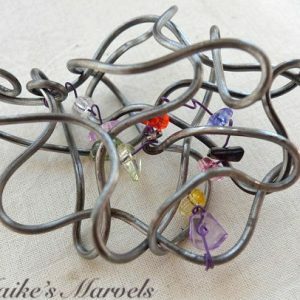 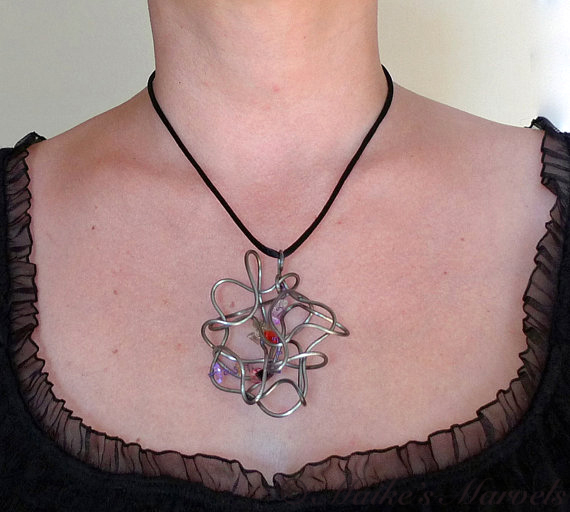 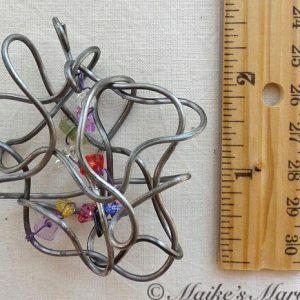 This floral squiggle with crystal filling sparkles with 5mm multicolored multifaceted crystals and is a perfect match for the abstract jewelry lover. 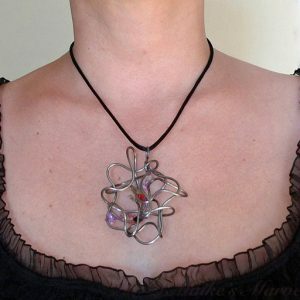 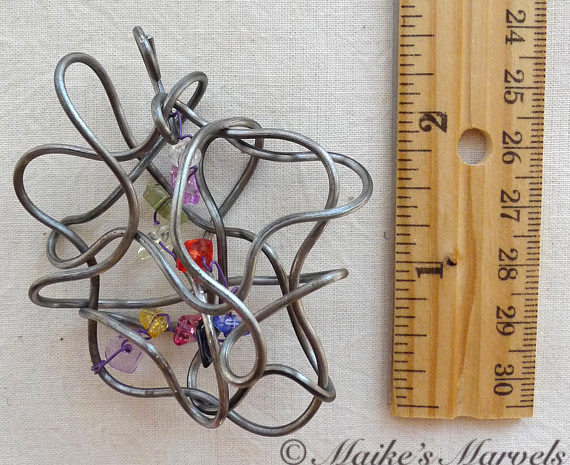 The lightweight pendant measures 2 3/4 inches long, 2 1/4 inches wide and 1 inch deep. 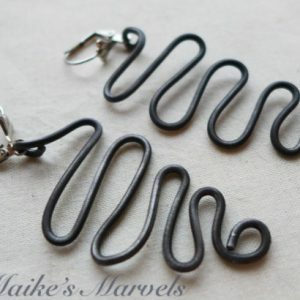 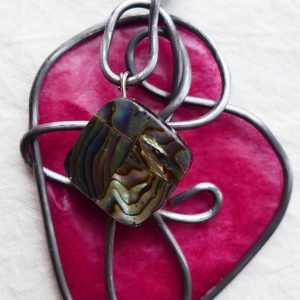 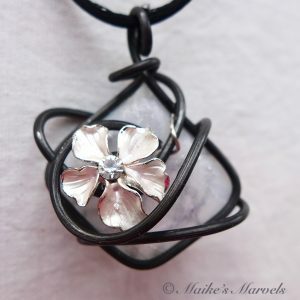 The pendant comes with a black satin cord (16″ shown). 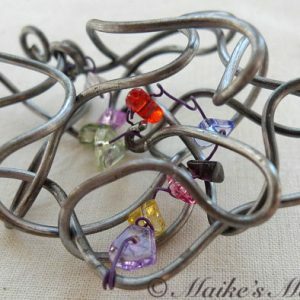 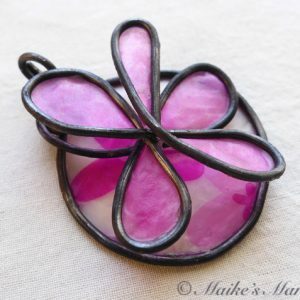 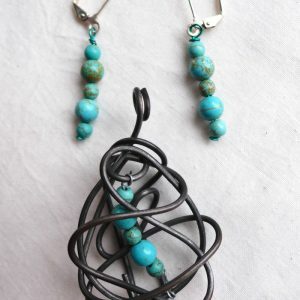 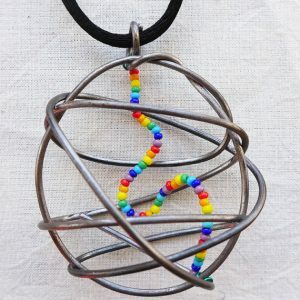 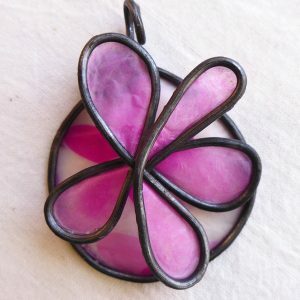 This design can be modified to incorporate birthstones.